We're all excited for the Motorola ATRIX 4G, so we're grateful to get a look at its innards. 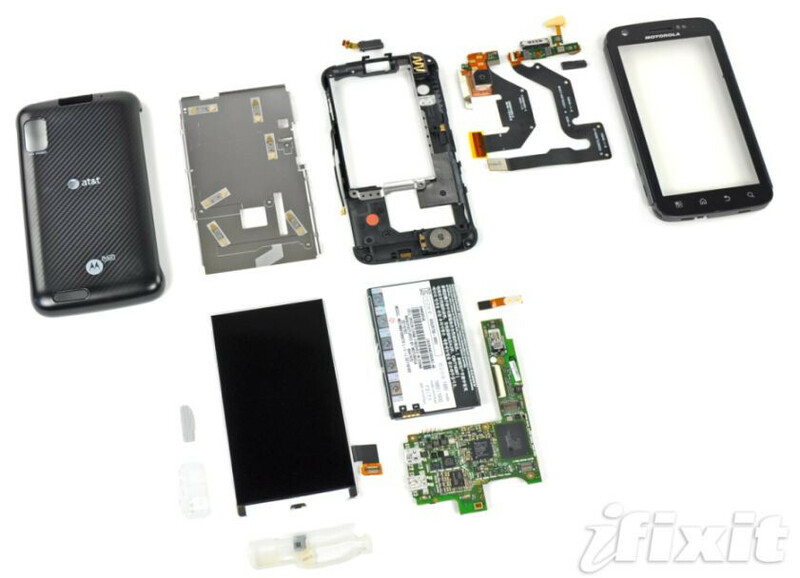 Courtesy of iFixit, we now know that the ATRIX 4G is ridiculously easy to both disassemble and reassemble. Beyond the ease of repair, iFixit had a number of other encouraging notes to share. First off, the LCD isn't glued to the glass panel in front. That means that if you do drop your device and break the glass, you won't necessarily have to replace the LCD as well. Inside the device, the removable battery and microSD slot include user instructions on how to properly replace the cover and remove the battery. You might think that should be obvious, but you'd be surprised how many people have broken a cover or damaged their battery with a flat-head screwdriver. While we're on the topic of user information, we should mention that there are no 'warranty void' stickers inside the device. That will make it easier for users to take their device to a local repair shop, rather than spend a small fortune on a completely new device. iFixit also lent some insight on the relative density of the ATRIX 4G's components. Only two primary ribbon cables connect everything from the front-facing camera to the headphone jack pressure contacts. These cables measured only 0.17mm thick, while a ribbon cable from an older Dell PC is 0.66mm. For more detailed images, and a full breakdown, check out the iFixit link below. On iFixit you can see more photos, and excuse me but I don't see that dual-core processor anywhere! Where is it? Nice Post, I recently used Continental Cellular to fix my Iphone, and I just wanted to share that I had an excellent experience. they were very personable and had my front glass/screen replaced within the hour. I highly recommend them. Please visit their website: We can help with iPhone 6s and 6, iPhone 5s and 5c repair, iPhone 5 and iPhone 4s repair.